We can help you develop a more attractive fragrance, or change the formula of your product with minimal loss of appeal using advanced molecular analysis. 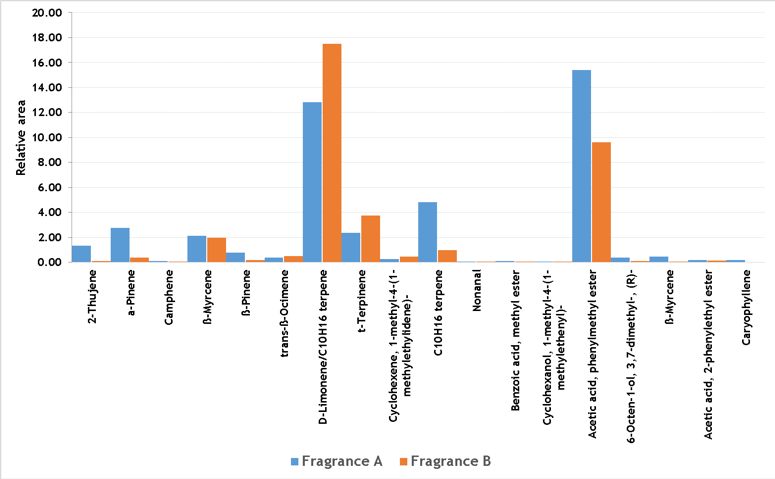 We had to compare twin fragrances using the olfactometric detection technique (GC-O) by combining chemical and sensory detectors in a single analysis. We started to identify and compare the volatile organic compounds (VOCs) responsible for generating odours in each of the twin fragrances. Figure 1. 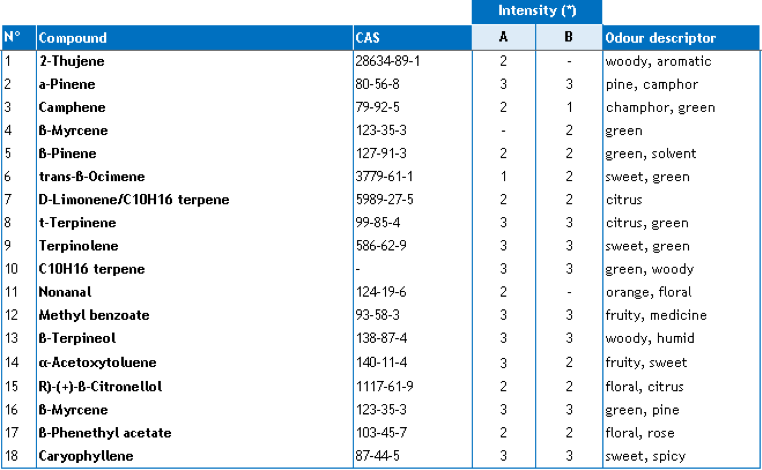 Chemical and sensory detection by GC-ToFMS and GC-O. GC-O analysis made it possible to identify the differences in the VOCs identified in both fragrances such as a-Pinene, α-Acetoxytoluene and D-Limonene/C10H16 terpene. At the sensory level, fragrance A stands out for its sweeter, fruity, citrus, floral and woody olfactory notes. This technique gives insight to the client, helping him reduce cost of his product without loss of sensory quality, make fragrance more attractive, change the formula or replace ingredients by cheaper alternatives.